GLOBAL MARCH FOR PEACE! 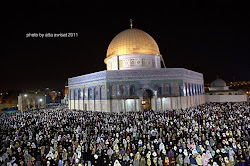 | PEACE with JUSTICE in Al Quds, Palestine is PEACE in The World! PEACE with JUSTICE and FREEDOM is the only way to make this world a better place for all people to live in HARMONY and become more PROSPEROUS! March 11, 2015 in America and Iran, The US Hypocrisy, Western Powers and Zionists, Zionist Israel. March 2, 2015 in Australian Hypocrisy and Double Standard, Islam and Western Media Bias. March 1, 2015 in America and The Middle East, Islam and Western Media Bias, Muslims and Western Islamophobia, The US Hypocrisy. February 25, 2015 in America and The Middle East, Islam and Western Media Bias, Muslims and Western Islamophobia, The US Hypocrisy, Western Powers and Zionists. February 2, 2015 in Islam, Islam and Western Media Bias, Muslims and Western Islamophobia. January 22, 2015 in Islam and Western Media Bias, Muslims and Western Islamophobia, Western Powers and Zionists. January 19, 2015 in Islam and Western Media Bias, Muslims and Western Islamophobia.